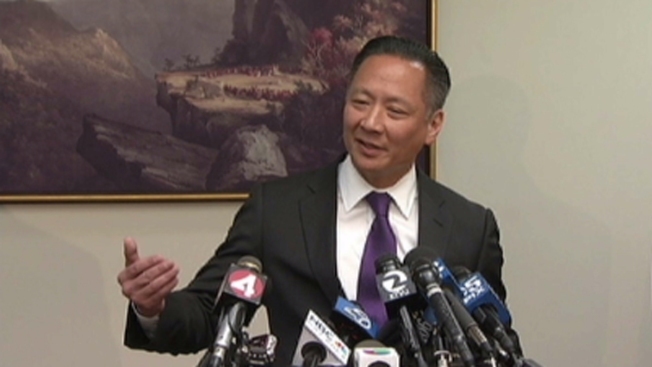 San Francisco Public Defender Jeff Adachi has sent a letter to the district attorney requesting information on every arrest made by four officers accused of engaging in racist and homophobic texts. The texts were uncovered during an unrelated investigation of Officer Jason Lai last year. Adachi questions the timing of the notifications. In addition, some texts reportedly mocked the first text scandal involving 14 officers. "Last time with racist texts that came to light two years ago there were over a dozen cases dismissed," Adachi said. "So are we going to conduct a similar review?" Police Chief Greg Suhr on Thursday said he dealt with the officers immediately and were suspended. Suhr said the officers betrayed the department and were referred for discipline up to termination. "I think he acted absolutely correctly," said Theresa Sparks with the Human Rights Commission, who also served on the San Francisco's police commission. "I think he seemed disappointed and angry at what's gone on."